In October of each year, New Mexico hosts the International Hot Air Balloon Festival. People flock to Albuquerque to enjoy the festival. Green Chiles are in abundance and the state is home to Smokey the Bear. The state is filled with a lot of culture and history. With all of the amazing things to do and see in New Mexico, auto insurance may be the last thing on your mind. 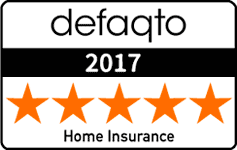 Even so, getting the best insurance at the best rates through our free quotes is a great way to be able to focus on what means the most, friends and family. Read up here to get some great information about car insurance in New Mexico. Besides having liability coverage, there are other types of coverage that can help a lot when drivers are involved in a traffic accident or other incidents. Collision and comprehensive are very useful to have and are also often required when taking out a loan or a lease for a car. Collision – After a traffic accident, there are often expenses related to auto repair, this coverage helps cover the costs of the damage done. Comprehensive – Sometimes damage to your car can come from sources other than collisions. Comprehensive helps to cover expenses from a number of sources, including theft, fire, animals, and vandals. Medical payments – Accidents can result in injury. Medical payments coverage helps with costs associated with the accident-related injuries. We are putting this in its own category because New Mexico requires this coverage to be part of your auto insurance policy. Those that have car insurance in New Mexico can reject this coverage, but this must be done in writing. Uninsured/underinsured Motor Coverage helps cover expenses that are incurred when drivers are in an accident that involves another driver who does not have auto insurance coverage. It also helps cover drivers when the other party does not have the insurance to adequately cover the expenses you incur. It may be necessary to provide proof of insurance in order to avoid fines and penalties and to register your vehicles. In New Mexico, there is an electronic database which is used to monitor New Mexico drivers that are registered in the state. It is your insurance carrier that is responsible for reporting the information into the database. If the database shows that you are not meeting your auto insurance requirements, you will be sent a letter to let you know that you need to work with your car insurance company to ensure that your auto insurance information gets updated in the system. If you do not have insurance or you do not comply with the warning letter, your license may be suspended. If your registration is suspended, it will not be reinstated until you obtain valid auto insurance and have your insurance carrier update your information to the database. It is important to meet the liability insurance coverage that meets New Mexico state requirements. We can help you find affordable insurance to protect you and your loved ones in case of an automobile accident. Our service is fantastic and you can get an insurance quote from us completely free of charge. Take the next step now and contact us for your free quote, we are happy to assist you in any way we can!